Okay all, here's your chance to get a pair of two tickets to the Rabbit Hole 1 Year Anniversary Party on December 13 at 1pm! Just leave a comment/caption for the picture below for a chance to win. I will choose a winner by 8pm today. No anonymous comments please, any anonymous comments will automatically be discarded. You can also leave a comment on the You Stay Hoppy Dallas Facebook page! Good luck and have fun, cheers! Laron, Matt and Tom of Rabbit Hole Brewing. Photo courtesy of Tait Lifto. I can't think of a caption, but I love your beer!!! Good luck to whoever wins!!! "So this is what Heaven looks like" "Yea, like a ray of sunshine" "Heaven is for real"
"If we each take a little sip before they get back, do you think they will notice?" "Do you think Modano will notice if we take a sip? You first bro!" "Is that?...It is bro!...Nectar of the Gods!" Steve and Jim listened intently to the beer's tragic story of how he lost his brother to a tragic dry-hopping infection. Karl - always the 12 year old of the bunch - justcouldn't keep a straight face whenever he heard the phrase "dry hopping." 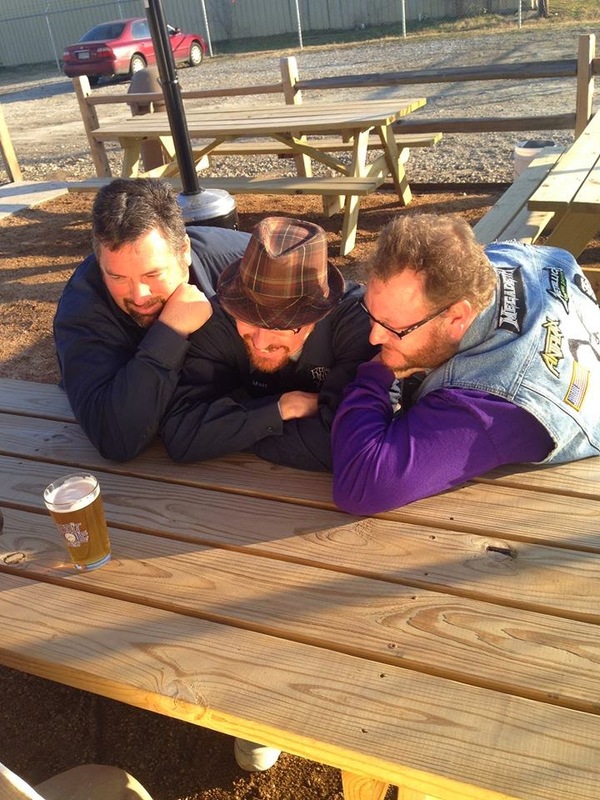 "Three Men and a Brewski"
Thanks all for your submissions! There was a comment on the Facebook page that tickled my funny bone that ended up winning. Hope to still see you at the event. Cheers!